2. Not Yet Believers. You only have to stop for a few seconds to realise that we can’t simply refer to people who are not following Jesus as if they are all the same. Some are feeling genuinely stirred and motivated. They may not be able to explain why, but they find themselves on a spiritual journey and may even be surprised by the interest they are taking and the new perspectives they find themselves embracing. Others are only at church listening to you preach because they feel obligated to be there. A family member. A key date in the calendar. Something means they have to be physically there. But nobody can force them to be emotionally or mentally present. They may well be playing the next round of golf in their head before you even begin. Unfair challenge? Sure. It is still up to you, leaning fully on God’s strength and wisdom, to get them engaged and keep them engaged. Then there are the folks with questions. There may be one big one that is blocking everything else, and if you get to chat to them, then it may soon come your way. Or there may be a plethora of questions, perhaps being stirred by your message as you go through it. The only way to address those kinds of questions is to put yourself in their shoes before you preach the passage. What would I ask if I didn’t already agree with this passage? Some listeners grew up going to Sunday School and have some level of Bible literacy. Most today have little to none. How will they hear and understand what you are preaching? Everyone will have their own paradigm for life and reality. What might stir affirmations from some, might stir indignant antagonism from others. Preaching is not easy. 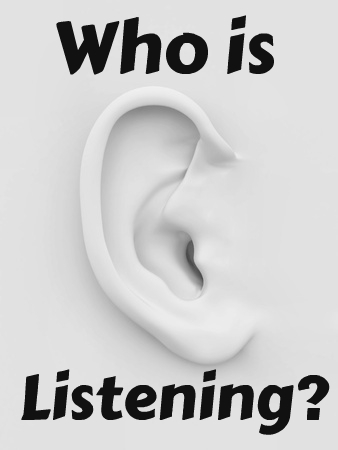 Thinking about the listener is a multi-faceted challenge, and there are still more listeners to add in yet.